Raja Ampat covers about 46,000 square kilometres and since 2013 sharks are protected throughout the whole area. Shark fishing is now strictly prohibited and punishments for anyone caught are severe. However, punishments are rarely used these days, thanks to community education that has shown locals that live sharks are worth much more than dead ones. Divers, tourists, and marine scientists and researchers put large amounts of money in the economy and wholeheartedly support shark conservation programs. Thanks to them, the government and the cooperation of local communities, Raja Ampat is thriving and so are its sharks. What species of sharks are found in Raja Ampat? Raja Ampat is an ideal habitat for a number of species of sharks. Black tip, white tip and grey reef sharks thrive here thanks to the bounty of pray in the ecosystem. They are some of the top predators in this area and are exciting to watch while they cruise for their next meal. Down at the depths on the sea floor four species of walking sharks reign. Tasselled and ornate wobbegongs and two species of epaulette sharks may be wriggle and‘walk’ across the sea floor, but they are in fact excellent predators. 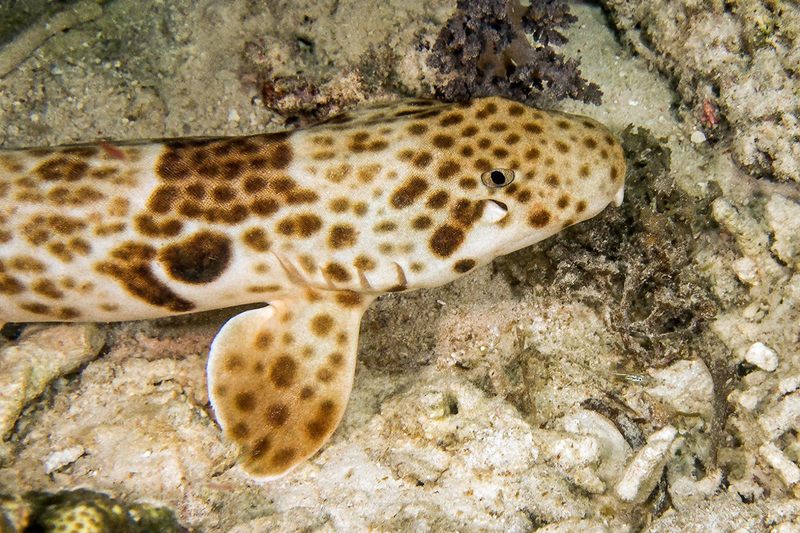 Both wobbegongs and epaulette sharks are found in shallow temperate and tropical waters of the western Pacific Ocean and eastern Indian Ocean, mainly around Australia and Indonesia. 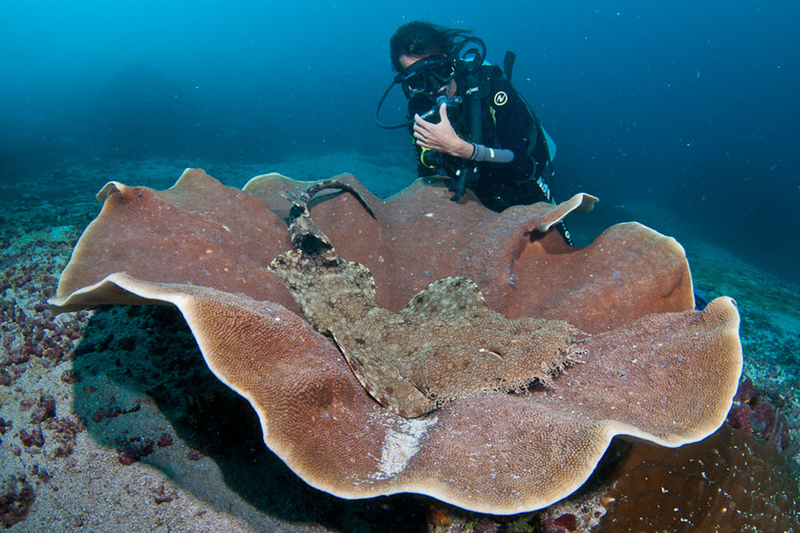 However, one of the epaulette species was discovered near Halmahera Island in Raja Ampat in 2013 and was named Hemiscyllium Halmahera, making it very special to the area. You’ll probably see sharks wherever you dive in Raja Ampat. The area is their home and they swim freely, feeding on the plentiful fish, mating and laying their eggs in shallower waters. Trips to sites like Fam Island and The Passage between Waigeo and Gam give you a great chance of diving with a number of species of sharks. If you aren’t a diver you can see reef sharks from the jetty at Papua Paradise Eco Resort, or while snorkeling. 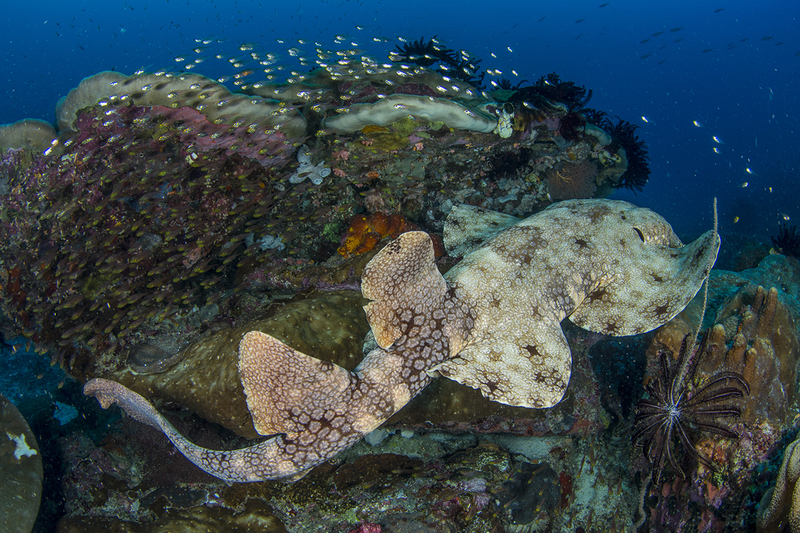 Wobbegongs and epaulette sharks are more difficult to see if you don’t dive as they live on the sea floor. The reef sharks found in Raja Ampat are very docile and it is pretty much unheard of for divers to have any trouble. There are some tips you should follow when diving with sharks though. First of all, like any other sea creature, let the sharks go about their business. Don’t follow or swim in front of them. You should swim calmly and gracefully without making jerky movements. 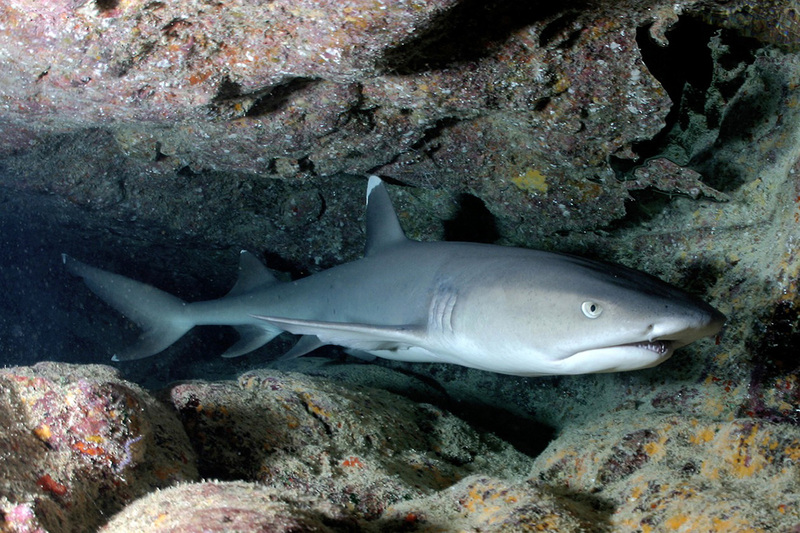 For both reef sharks and walking sharks you must remember to always give them space. 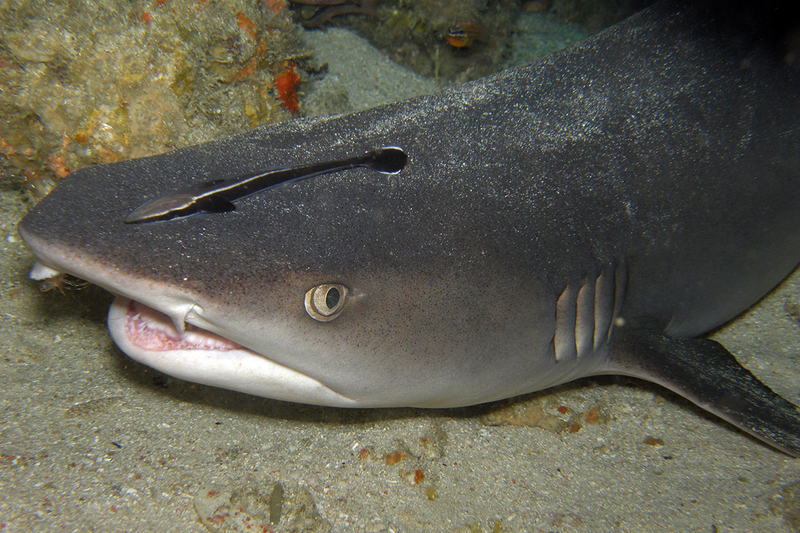 Although rare, divers have been bitten by walking sharks when they got too close. Scuba diving with sharks in Raja Ampat is exhilarating but also completely safe if you follow these guidelines. Does diving with sharks fill you with fear or excite you? We’d love to hear how you feel about it in the comments below!